Trading Spaces is one of the main suppliers of portable offices, cabins, storage containers, sales offices and Guard huts in Essex and Suffolk, but we can deliver your portable cabin wherever you are. 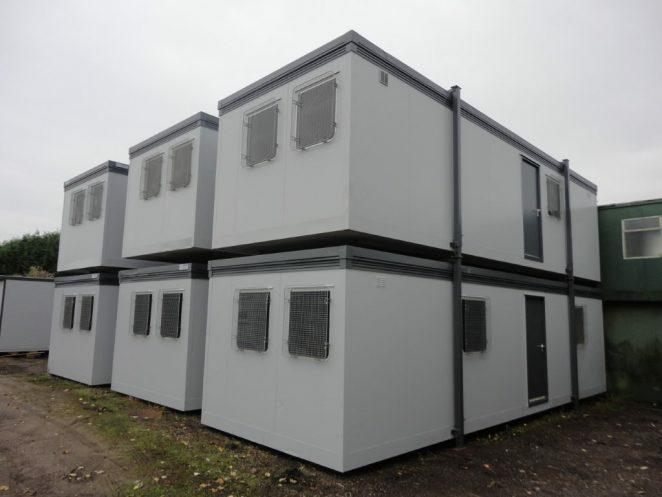 We stock a huge range of brand new and nearly new portable offices and cabins for both hire and sale and would certainly have what you need amongst our extensive portable building stock. Our portable offices start from 12ft x 9ft (3.6mt x 2.7mt) up to 32ft x 10ft (9.7mt x 3mt) with all sizes in between. We offer a variety of options and facilities to go with our portable cabins too. We will almost certainly have a portable cabin in the right size for you in stock and we can deliver however many portable units you require on a hire or purchase basis as quickly as the transport can be arranged. So give us a call to discuss your needs on 01206 212505 or email enquiries@tradingspaces.co.uk .